Adex International LLC is the premier supplier of MAK Diesel and Petrol generators with operations all over MENA [Middle East and North Africa] like Saudi Arabia, Oman, Tanzania, Sudan, Somalia, Egypt and countries like Azerbaijan, Turkmenistan etc. Adex International LLC supply all over the UAE with branches in Dubai, Ajman, Sharjah, Abu Dhabi, Ras Al Khaimah, Umm Al Quwain and Alain. MAK Gasoline and diesel generators are the most sought after heavy generators in the UAE with power range from 2 kV to 11 KV. 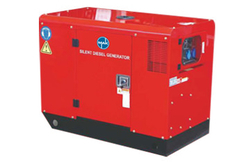 MAK generators are used extensively in construction sites and remote areas as the source of uninterrupted power. MAK generators maintains quality and performance thus providing the customer with peace of mind that there will be no power shortage and delay. MAK generators are extensively used due to their long life and perfect service maintenance provided by Adex .Technicians are available for service in case of any issue with the generators. Adex International LLC is the premier supplier of MAK Diesel generators with operations all over MENA [Middle East and North Africa] like Saudi Arabia, Oman, Tanzania, Sudan, Somalia, Egypt and countries like Azerbaijan, Turkmenistan etc. Adex International LLC supply all over the UAE with branches in Dubai, Ajman, Sharjah, Abu Dhabi, Ras Al Khaimah, Umm Al Quwain and Alain.